Everyone had there own views on who should be with who. Here's mine, what are yours? If you ever been to the main fan fiction (there's only like a gazillion of them) never insult another person's choice in pairings. I found that out the hard way O.O, it was not pretty. True. NEVER get in pairing wars. Heh... Honestly my pairings are the exact opposite of yours, dc. Well, most of them. XP But I don't care. A Batman fan is a Batman fan, right? A Batman fan is a Batman fan, right? True, as long as he's not paired with Harley Quinn I'll be fine. I wonder what the producers and writers think about this pairing stuff? We know Frank Miller is a big Superman X Wonder Woman fan. -_-', and we know the teen titans producers weren't exactley fans of all the shipping. lol xDDDDDD yeah. and a DC fan is a DC fan, so yeah. I'm more of a TT person, I've told you, so..
Can't think of any more! Told ya, I'm more a TT person. I am trying though! XDDDDDD Well on the bright side we're all Ollie/Dinah fans. I see avatar pairings, too. May as well! After the Music Meister's episode, Arrow/Canary just seems the way to go. Good point. 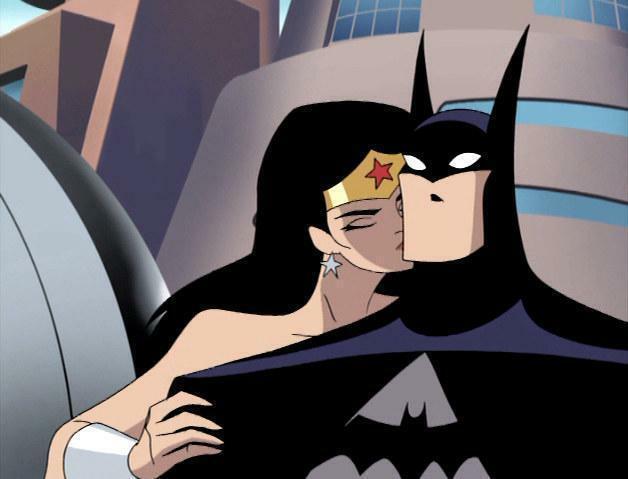 Although, I do love when Batman dissed Wonder Woman Not BTBATB but still funny. You don't have youtube, right? "1. Dating within the team always leads to disaster. 2. You're a princess of a society with immortal warriors, I'm a rich kid with issues. Lots of issues. "We better go." Batman swoops out. "Saved by the bell." Wonder Woman jumps after him. Ha! I'm on my phone, I ain't watching, and I'll write you the FULL script. Don't you ever wish you were down there? I'm down there all I need to be. Yes, but it's just a job to you. I'm talking about going down there and having some fun. Maybe... Maybe with someone special. No. No dating for the Batman. It might cut into your brooding time. ...one. Dating within the team always lead to disaster. Two. Your a princess from a society of immortal warriors, I'm a rich kid with issues. Lots of issues. And three. If my enemy knows I had someone special, they wouldn't rest until they've gotten to me, through her. Th-that was the exact script. ._. Omfreaking gosh. You ARE a DC lunatic. In a good way. XDDDDD Hey. I'm a BMWW shipper. Don't you think it shouldn't be weird for someone like me to remember that kind of stuff? XP I remember one time I dragged my friends along to watch This Little Piggy. And when THAT scene comes I followed those script - said them out loud. They wouldn't stop staring at me for like three whole minutes. XDDDDD I've watched that episode too many times. Oh WOW. I'd like to meet your cousin. XD lol Seriously! 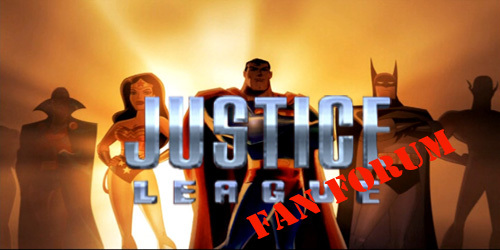 Get them to join my JLU forum! XP They're gonna have a BLAST. XD lol you gotta drag em to our forums. And the JLU and TT one. Help! I'm being inexplicably drawn to the Aquaven area of fan fiction! Seriously, I'm like this close to writing a fic about the couple. dcfan100 wrote: Help! I'm being inexplicably drawn to the Aquaven area of fan fiction! Seriously, I'm like this close to writing a fic about the couple. What the....? It's an alright couple. Nothing to be afraid of. ._. Oh, hahah. I experienced the same thing once. I usually go with CyBee, but then I had my first forum roleplay and I was Bumblebee and I was playing with Speedy and I had a dream about them. The next morning I wrote this STUPID fic about them, but then the next day I woke up and asked myself, O_O I WROTE THIS??? xP But I got over it now.